I want to buy communication interface mainly for Volvo PTT, Cummins INLINE and CAT Caterpillar ET. I have seen NEXIQ-2 USB Link widely used for this application but i have few questions regarding their usage..! 1) For Volvo PTT 1.12 and 2.04 – do i need additional medicine to use Nexiq for Volvo PTT (cracked)?? 2) Does Nexiq support all vehicle in Volvo PTT? 3) Does Nexiq support fully for cummins Insite ( Generator, Industrial Engine…etc?? 4) Does nexiq support fully for CAT ET ( Mining Truck, Generator, Construction equipment..etc)?? 5) Can I use nexiq for scania Truck?? Is there any other better option is there?? Nexiq Chinese clone vs Genuine which one is better?? best place to buy Nexiq? i have Nexiq china clone for 4 years, and Tech Tool PTT 2.04 for 1.5 years. Both work no issues so far. never used genuine Heavy Duty Diagnostic Nexiq… dont know the difference…chinese clone work perfect in my hands…but need luck i think. My friend has no luck with that…rework many times but still no joy. i buy Nexiq from China CnAutotool.com support wifi and bluetooth. 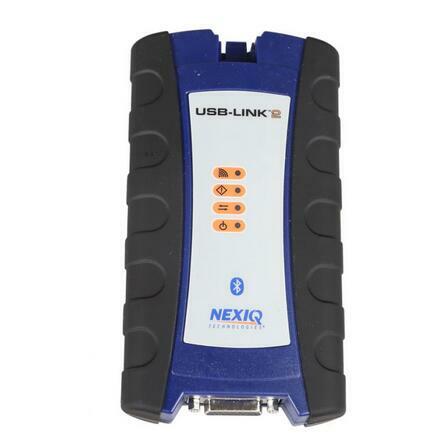 the Nexiq USB Link 2 you mentioned above doesnt support wifi and bluetooth as far as i know.